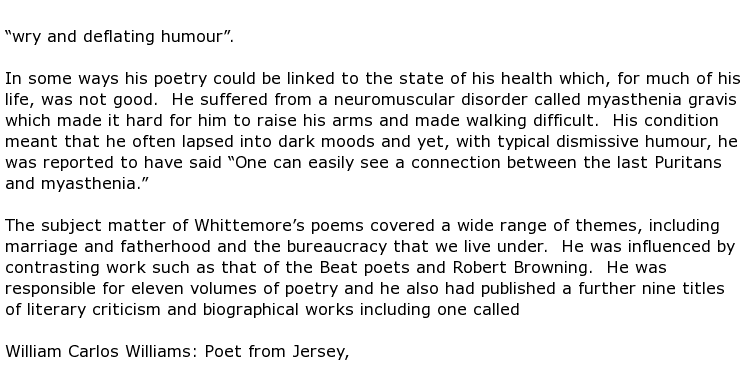 Reed Whittemore was a US poet who had the unusual honour of serving as his country’s Poet Laureate on two separate occasions, the first being in 1964, then also in 1984. 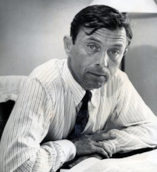 He was also a literary journalist and critic, biographer and college professor. by New York journalist Victor Navasky. The premise was the same, to encourage new writers of poetry. He moved to Maryland later, teaching at Maryland College Park’s University until 1984. His best achievements though were the prestigious appointment as Poet Laureate Consultant in Poetry to the Library of Congress on two separate occasions and he also served time as state Poet Laureate for Maryland. Reed Whittemore was with his wife, when he died on the 6th April 2012 in College Park, Maryland. He was 92 years old.